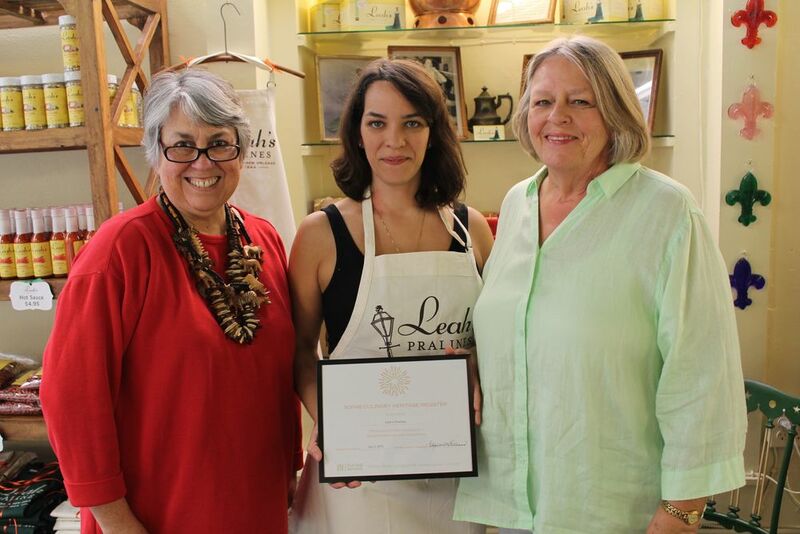 On July 2, 2015, we welcomed Leah's Pralines as the eighth listing named to the Register with a short ceremony at 714 St. Louis Street. Originally named Cook’s Confections after its owner Cecil Cook, the shop opened on South Rampart Street in New Orleans in 1933. In 1944, Cook sold his praline company to Leah Johnson, and it became known as Leah’s Southern Confections and eventually Leah’s Pralines. Leah’s niece, Elna Stokes, is the present day proprietor, and she runs the shop with her daughter Suzie. 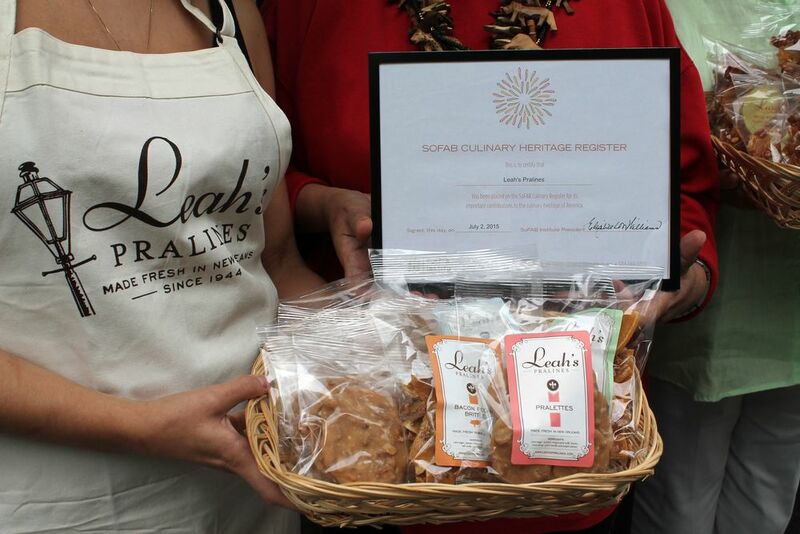 Leah’s Pralines is the oldest, continually operating, family-owned praline shop in New Orleans. The traditional pralines, frosted pecans, pecan brittle, and peanut brittle recipes and cooking methods have not changed in over seventy years. SoFAB has also added Craig Claiborne’s childhood home in Indianola, Mississippi to the register. Craig Claiborne was a legendary food journalist born on September 4, 1920. Although he was born in Sunflower, Mississippi, his family moved to nearby Indianola after the price of cotton crashed. His mother, Kathleen Claiborne, opened up a boarding house, and Craig Claiborne described the kitchen there as his “playground.” He learned about food from watching his mother cook in the kitchen, and his knowledge and love of food only grew with his studies at École Hoteliere de Lausanne in Switzerland and with his travels during his time in the Navy. After serving in the Navy during World War II and the Korean War, Craig knew that food was his true passion, and he worked various jobs in food journalism in New York City before eventually becoming the first male food editor of The New York Times in 1957. It was at The New York Times that Craig developed his legacy. He created a new type of restaurant review that included a four-star rating system, and this has since become a standard reviewing system. Craig Claiborne is known for introducing Americans to the pleasure of food. Many people at the time simply saw food as a way to survive, but Craig aimed to show people that food was much more than that. He also introduced many types of ethnic cuisine, most famously Asian and Mexican cuisine, to average citizens, and he sought to improve home cooking as well as restaurant dining. He is the author of multiple cookbooks, most notably The New York Times Cook Book, and many of his recipes are still in wide use today. His smothered chicken recipe, which he created along with frequent collaborator Pierre Franey, is one of his most famous recipes. The impact that Craig Claiborne had on American cuisine is still noticeable today, and we recognize him in our Mississippi exhibit at the Southern Food and Beverage Museum. Stop by the museum to check it out!